As the days start growing colder again, and the brief summer is turning into autumn, we can turn towards warming flavours, with an autumnal feel. Still, not quite ready yet to fully accept that summer is over, I like to make dishes that sit kind of in between summer and autumn. 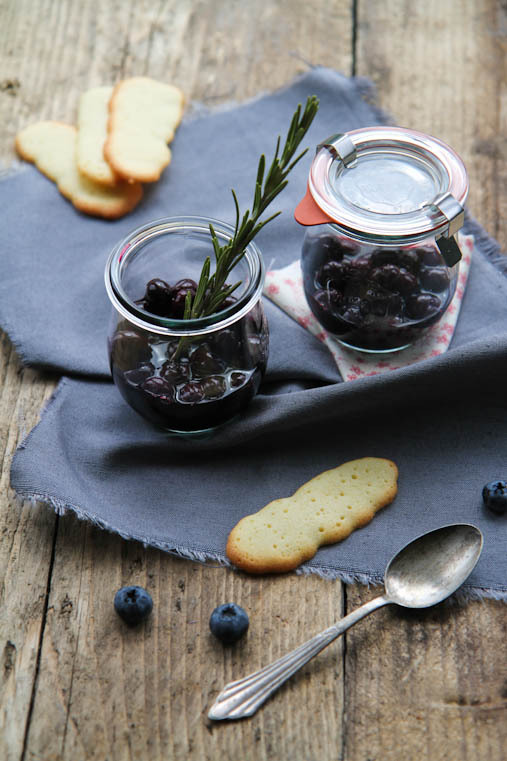 This sweet treat is the perfect example: summery blueberries soaked in rosemary-scented wine (a look-ahead to the cinnamony mulled wine to come in a few months) served with feather-light yet super buttery biscuits. The perfect dessert for any early autumn dinner party, or a naughty treat for late afternoons. Either way, I love how the combination of these simple flavours lifts this creation to a showstopping dessert. A little note on the biscuits: These langues de chat biscuits are not perfectly shaped. In fact, they do look a bit wonky… That’s because the batter spreads out quite a bit in the oven, and did so unevenly because I didn’t pipe the batter out in a perfect, Martha Steward-like way. Still, if you ask me, I like their rustic look, and I like their amazing taste even more. So, don’t be put off my imperfection, embrace it and focus on the fact that they’re homemade lovely treats! Pour the wine and sugar into a saucepan and warm up over a medium heat. The wine should steam but not bubble. Once the sugar has dissolved, add the rosemary twigs for about 3 minutes or once you judge that the wine tastes enough of rosemary. Remove the rosemary and add the blueberries. Simmer the fruit for about 3 minutes. Take off the heat and let the blueberries and wine cool down. Preheat the oven to 180° cesius fan. Melt the butter. In a bowl whisk the butter and icing sugar together, add the egg whites one by one and beat. Add the flour and vanilla extract and mix into a smooth batter. Prepare a piping bad with a small round nozzle and fill with the biscuit mixture. Put the filled piping bag in the freezer for 5 minutes so that the mixture stiffens a bit. Line a baking tray with baking paper. Pipe long lines on batter onto the baking sheet, each one about 8-10cm long. Leave enough space between them (about 5cm), because these will spread in the oven. Bake for 8 minutes in the oven, or until the edges are golden brown. 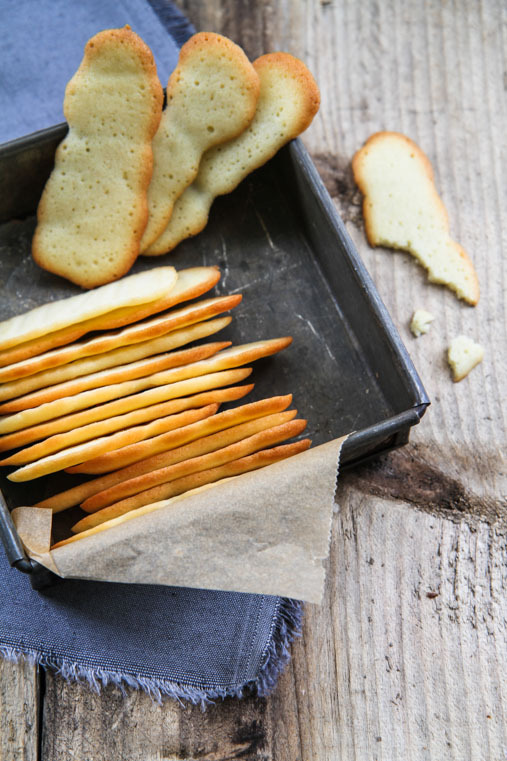 Take baking sheet with the biscuits off the baking tray and transfer onto a wire rack. Once cool, take the biscuits off the baking paper. 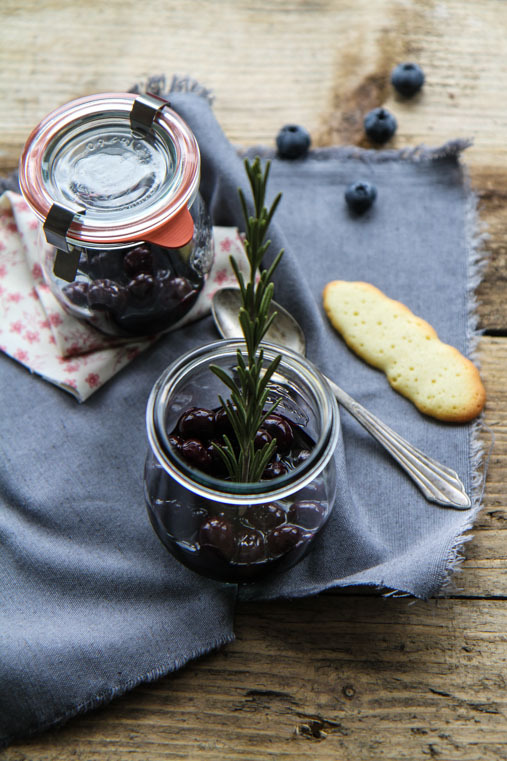 Serve the blueberries in little glasses with an optional dollop op whipped cream and with langues de chat. If you ask me, the uneven shape is a feature, not an imperfection. 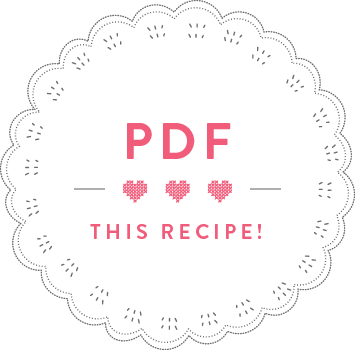 What a glorious recipe, and your food photography and styling just blows me away! Thank you Jaime – I missed yu at FBC this weekend. We need to meet up one day, we’re both blogging in London! Hi Anne! Yes we absolutely have to meet up! Let’s DM on Twitter soon. I had to skip FBC12, was really reluctant to do so but I signed on to a pastry course at Le Cordon Bleu and the orientation was on the 28th! Was told we’d possibly have a demo/class on the following Saturday but turned out it was for cuisine students. Anyhoo…really hope to meet you soon! Wow! Very yummy. Such a feast in the eyes. Thanks a lot for the page. Cool! Thanks Alice! Stop by again!